Like an old hurdy-gurdy, a small chocolate machine was mounted on the frame of a historic pram. And as often the case, the wheels were the first parts to wear out. This was a totally new challenge: steel spokes, wood rims with full rubber pads. With something like this, it’s back to square one in spite of all the experience. For special cases like this, the only thing possible is to fabricate every single piece myself. 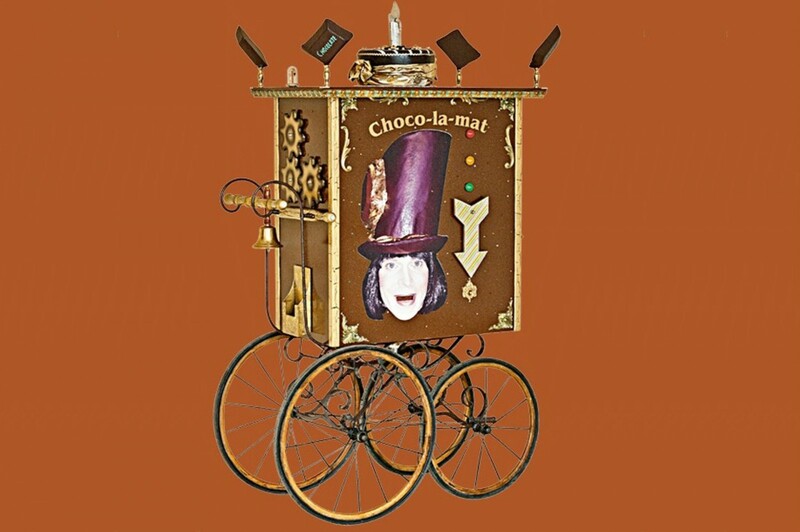 That's what a Choco-la-mat looks like ! Steel-spoke wheels, every single piece newly custom made. In the past standard; today, a special custom-made product.